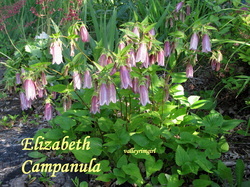 Clump forming up to 3' tall campanula. 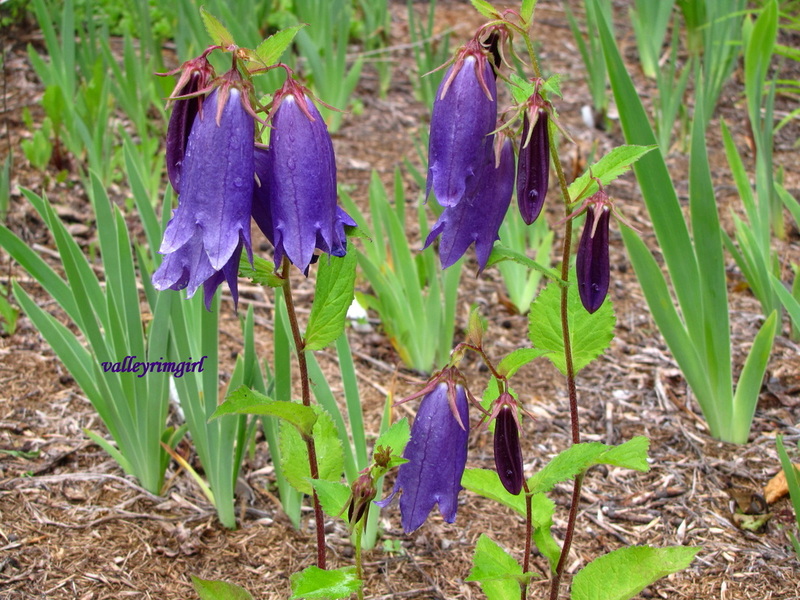 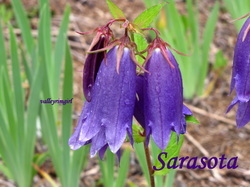 Heart shaped bright green leaves with bell shaped creamy 2-3" long flowers flushed reddish/purple with dark spots on the inside of the bells. Slightly scented. 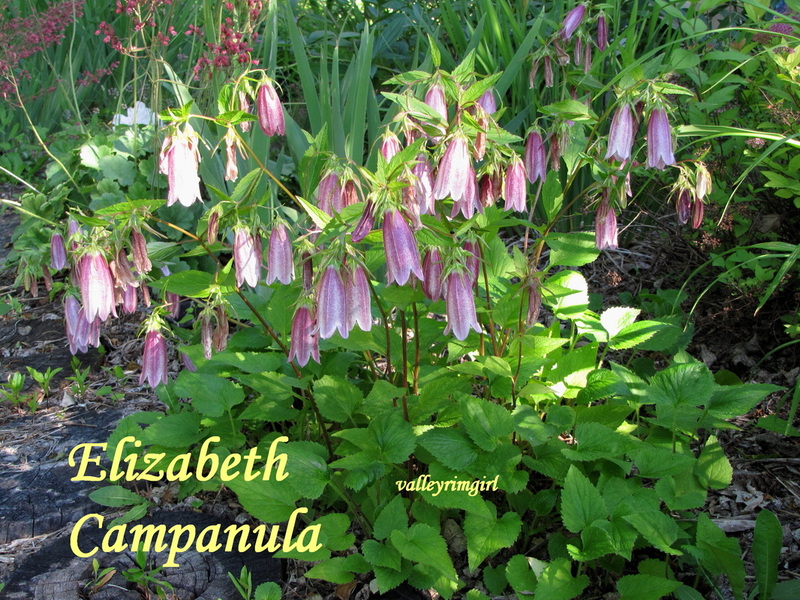 Two names for same plant. 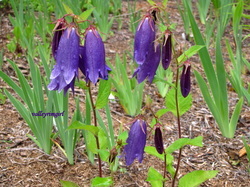 Love its big purple bell shaped flowers!